We are excited to announce our Series Seed investment in AnChain.ai and that partner Dr. Huican Zhu has joined the Board of Directors. “We are really excited about AnChain.ai’s team and its long-term goal. Dr. Fang has strong leadership skills to serve as the CEO of the company. Decentralized and transparent, the two pillars of blockchain allow everyone to be able to take part in trading and operating, but they also convey bigger risk in terms of finding and utilizing loopholes, which makes blockchain really vulnerable to hackers. Experiences in AI, big data, and cybersecurity equip this team with sufficient capabilities to tackle the blockchain security issue.” said Huican who joined Google in 2000. At AMINO, we have been focusing on big data and machine learning startups, and led the multi-million dollar round. Other investors included CRCM Ventures, a Wall Street hedge fund. While some believe blockchain was born in 2017 and died in 2018 after the crash in the price of Bitcoin, that’s not how AMINO Capital sees it. We believe in the long term value of the blockchain, and we are an all weather fund. We not only dare to lead invest in exciting companies in the blockchain space, but we also believe that with our help, our portfolio companies have the potential to grow at an astonishing speed. AnChain.ai is one of the companies we truly believe is able to put a become a key player in the blockchain industry. At AMINO Capital, we completely agree. The news is filled with thousands of successful cryptocurrency fraud cases and the risk continues to grow. The Detective AnChain.ai has developed two unique products that combat cryptocurrency threats: Smart Contract Auditing Platform (CAP) and Situational Awareness Platform (SAP). SAP proactively protects smart contract assets like ETH, ERC20, BTC, etc. It provides Situational Awareness, Threat Intel, Knowledge Graph to secure blockchain transactions for DApps and Exchanges. CAP is a containerized cloud SaaS, offering automated Solidity smart contract online auditing and top-tier expert auditing service. AnChain.ai has already shown the world how powerful and groundbreaking its products can be. In cyber security industry, an Advanced Persistent Threat (APT) is the term used to describe a prolonged and targeted cyber attack where bad actors gain access to a network and remains undetected. AnChain created the term BAPT (Blockchain Advanced Persistent Threat) to define and identify attacks on the blockchain. In August, AnChain detected multiple threats by using its SAP technology: BAPT-F3D, the hacker group behind the game DApp FOMO3D, and BAPT-LW20, behind the game Last Winner. After visualization of the whole hacking process, AnChain and its partner SECBIT Lab found that BAPT stole $2 million worth of ETH in four days. Dr. Fang told us AnChain.ai’s next focus is refining these two existing products, SAP and CAP. The team wants to continuously track BAPT and release security-related reports. 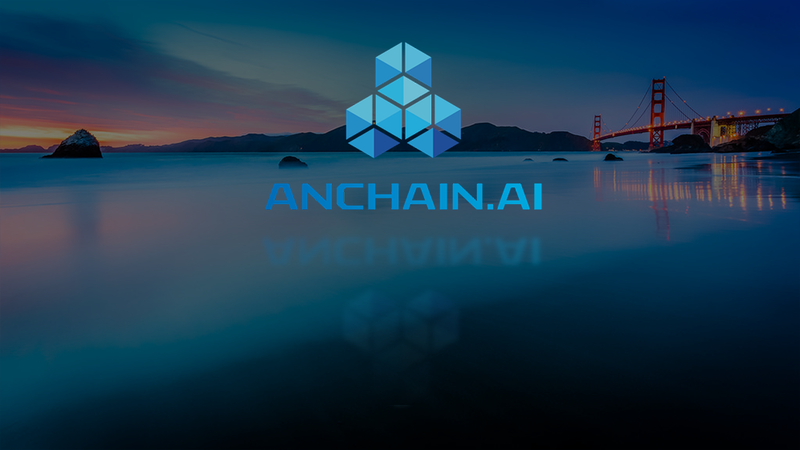 The ultimate mission of AnChain.ai is to use AI to enhance blockchain ecosystem security. “These security challenges motivate us to throw ourselves into the development of defending blockchain security industry” says Dr. Fang. Dr. Fang is a recognized expert in AI and cybersecurity industry in Silicon Valley. He owns more than 15 patents and writes for the MIT Technology Review. He was the first Principal Data Scientist in FireEye, a leading cybersecurity company, and nominated as “FireEye’s Face of AI”. He holds Computer Science Ph.D. from University of Cincinnati. Co-founder Ben Wu worked as director of research for leading technology firms Yahoo and EMC. He also has several patents in big data. The rest of the team come from top cybersecurity, big data, cloud computing firms like FireEye, Yahoo, Pivotal, Amazon, Intel, and McAfee. AnChain.ai has a strong advisory team. It already formed strategic partnerships with SECBIT Lab, Graphistry, and cross-chain exchange SWFT. We firmly believe these partnerships will leverage each party’s full potential and create a better, safer blockchain trading environment for both exchanges and DApp developers. Since 2012, Over 130 Startups Have Been Funded By Amino Capital. Our Theme: Big Data + Machine Learning + Domain Agnostic, And Decentralized Data Infrastructure For The Next Web. Based in Silicon Valley, AnChain.ai is an AI power blockchain security company, funded by top Silicon Valley and Wall Street top investors. The founding team are experts from top tier Cyber Security, Big Data, Cloud industries, with expertise in Fraud / APT detection, AI / Machine Learning, Threat Intelligence, etc. AnChain.ai offers 2 flagship products: SAP for blockchain transaction threat detection, which detected the 1st BAPT in history. CAP for automated smart contract auditing that scan almost 100% known vulnerabilities. AnChain.ai aims to proactively protect the decentralized crypto assets for DApps and exchanges. An early stage venture firm based in Palo Alto, focused on data driven technologies and next generation blockchain protocol.